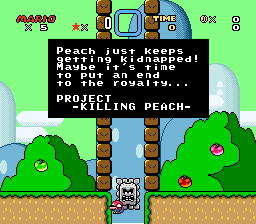 Here is part three of Kaizo Mario World. Please abandon all dreams ye who enter here. 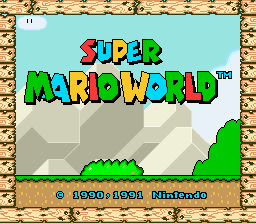 Kaizo Mario is a rom hack of Super Mario World created by T. Takemoto, an unknown Japanese rom hacker. It was made to split your eyes out and make you cry. The game includes difficult, precision jumps; multiple obstacles at once; and many, many nasty traps along the way. 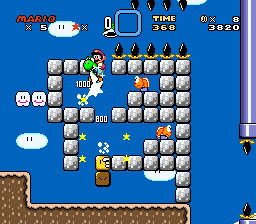 Kaizo Mario is reliant on skill, patience, and sanity. If you aren’t dying every fifteen seconds you are probably cheating. If you don’t get nightmares of chompers after playing the game you didn’t beat the first level. 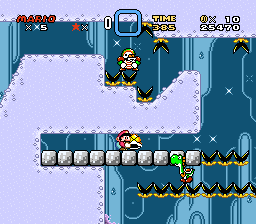 If you like finding invisible coin blocks you won’t after playing the game; you will swear even if you find one that helps you. If you find a mushroom-don’t feel lucky-it will be lost soon thereafter. Nothing will spare you, the game will spit on you as if you were nothing but asphalt. If you have the courage to play the game it is available in the downloads link. If you would like to know all the traps (that are going to kill you anyway) in the game, click on the walkthrough link. If you would like to be spared the pain of playing the game, then click on the videos link. Last, but not least, if you have questions take a quick look at the FAQ.